Notice the mermaid’s razor-back fin on her back, webbed hands and almost human legs that end in large fins. 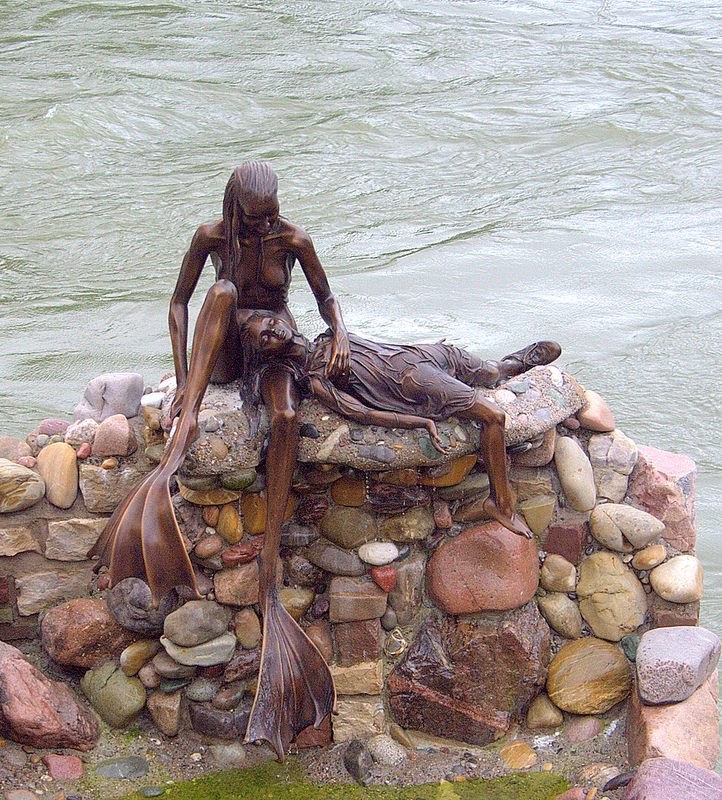 She has rescued a drowning human girl, overcome by the fierce currents of the Rhine river in this location. 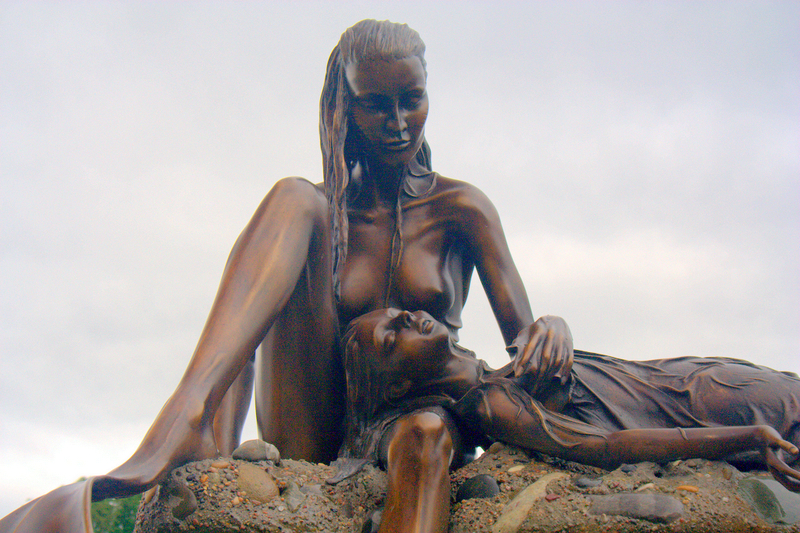 The sculpture was created in 2007 by Roland Kistner, and is based on one of the legends of the St. Anna Hole, a deep cavern in the bed of the Rhine River by the Old Rhine Bridge. One of the legends has it that when the town was attacked by the Huns some centuries ago, the townspeople tossed all their valuables into the river to foil the plunderers. In revenge the Huns threw the Lady Anna of the castle into the deep part of the river. Where exactly the mermaid comes into play is unclear…. 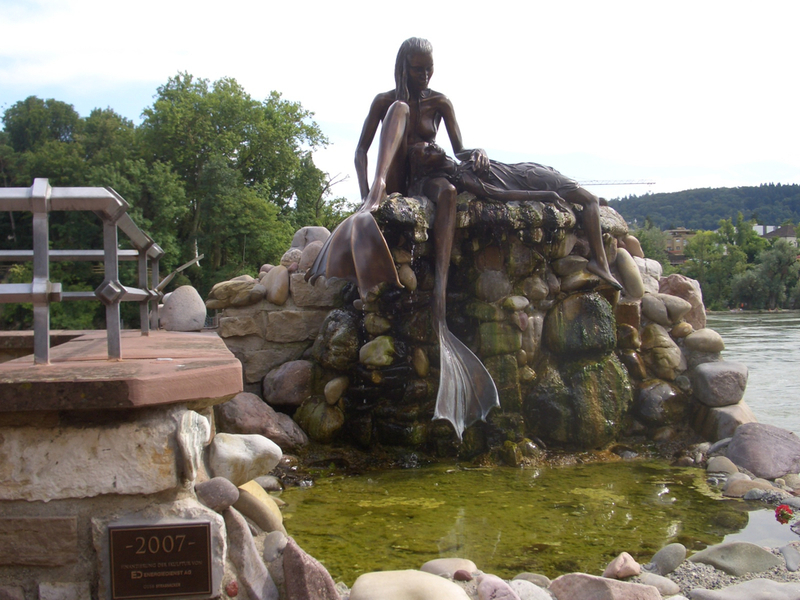 Nevertheless, the mermaid statue reflects the features a mermaid would likely have to possess to survive in this section of the Rhine. 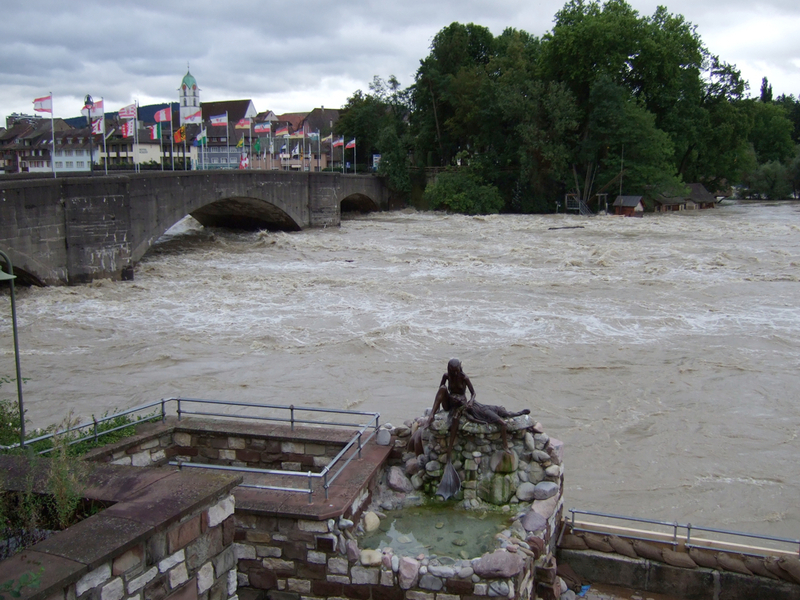 The currents can be extremely strong, especially when there are flood waters. The St. Anna Hole in the riverbed creates additional turbulence and unusual currents, which over the years have surprised many swimmers, at times with fatal results. 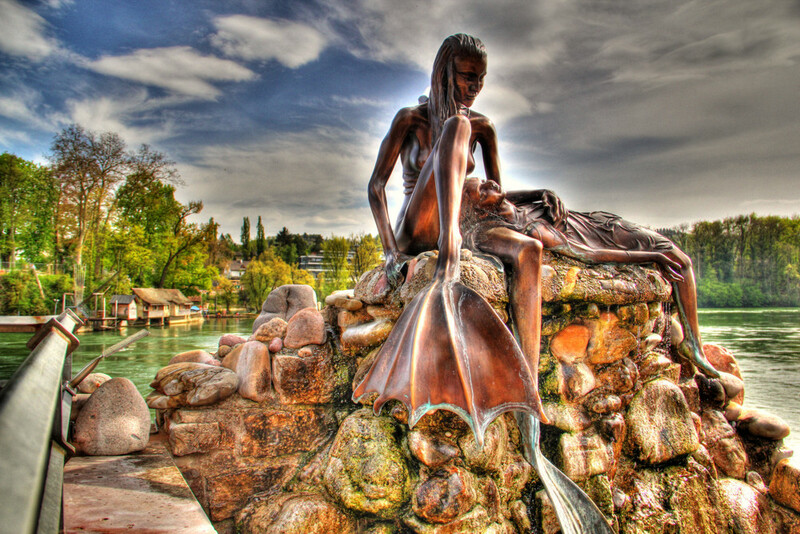 Rheinfelden St. Anna Mermaid statue. Photo © by Tabea Hablützel. 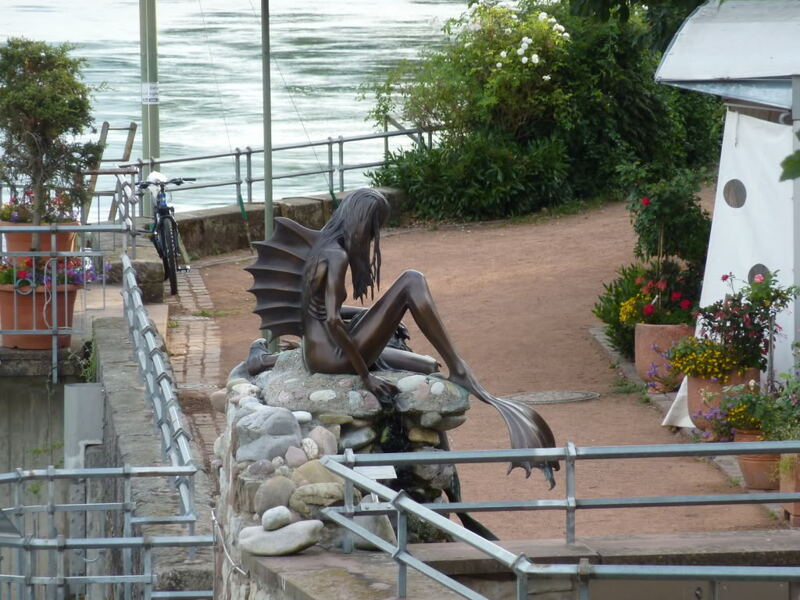 Rheinfelden Mermaid Statue. Photo © by Eli Proks. 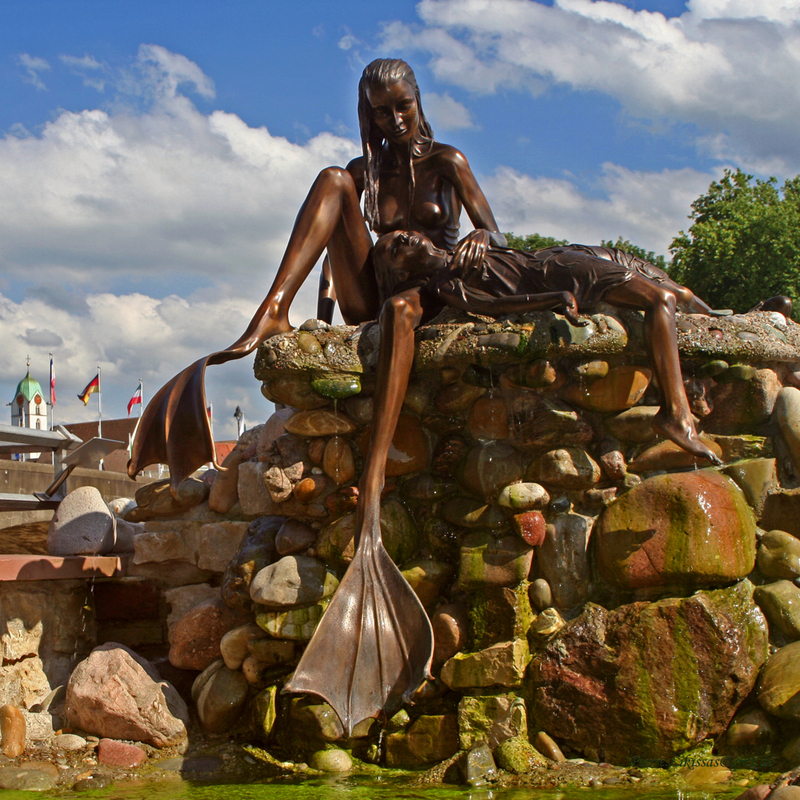 If you have relevant information on this mermaid sculpture, please contact us.